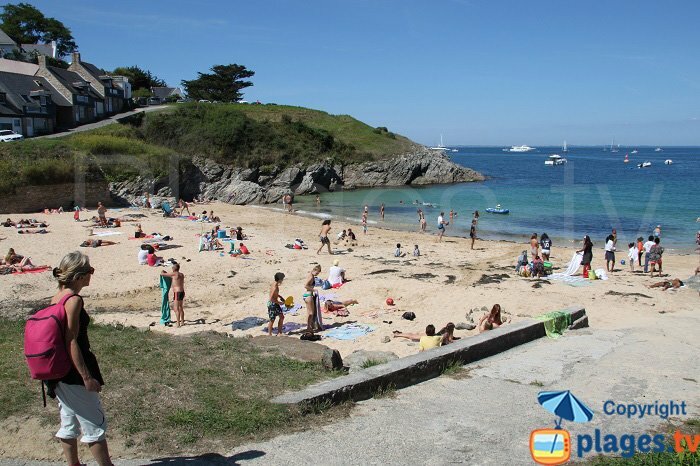 The largest of the Ponant islands (the others being Groix, Houat, Hoëdic, and Ouessant ...) is at the limit of the "supra-Mediterranean" climate. Amazing, is not it? 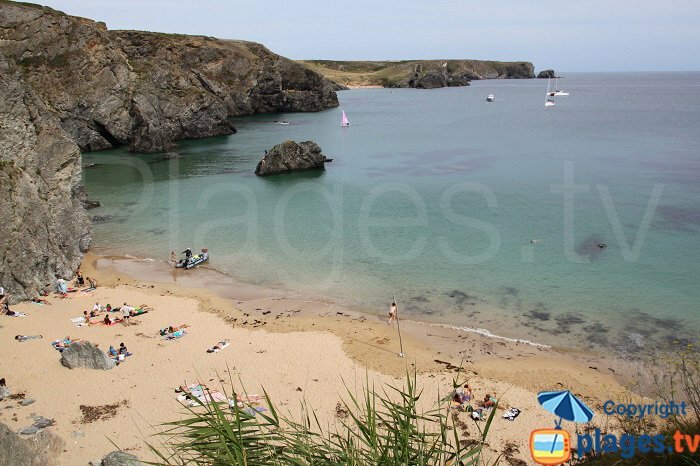 This means that, although in the oceanic zone, Belle-Ile is experiencing a dry period: the summer. Which is a major asset for an already naturally very attractive island. 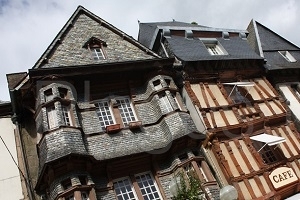 A schist fortress, the English, Dutch and Spanish invaders have argued for throughout history, it has now become a stronghold of an environmentally friendly tourism. The cliffs are fortunately lined with vast beaches or coves, almost all sandy which make all the salt. 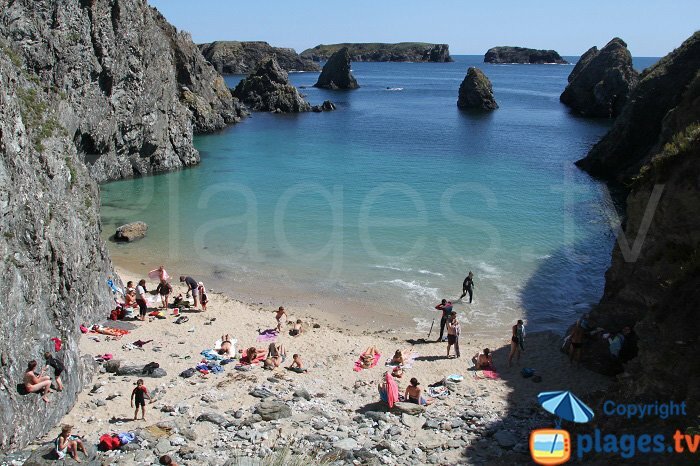 The beaches of Belle-Ile are hidden away and secret, sometimes with difficult access, but beautiful to be damned, because their natural beauty has been preserved. This does not mean that you get bored: sailing, boarding, kiting, kayaking, surfing, diving, climbing, mountain biking, fishing, golf, as well as farniente and naturism. Each beach has its own specificities. Here are the Top 12 most beautiful beaches and the reasons for their ranking. It is not the largest, not the most accessible, nor by far the most comfortable but the blue of its waters and its emerging rocky islets make it one of the most beautiful florets of the untamed coast of the island, which provides the most beautiful sites. 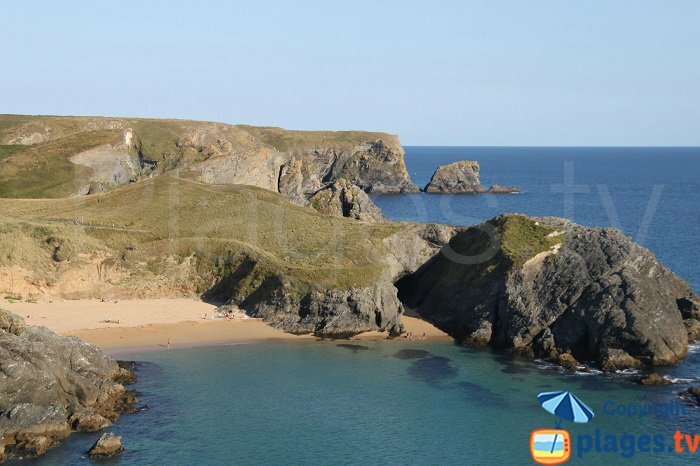 It combines many advantages: vastitude, fine sand, multiple corners, shelter of the cliffs and superb waves. All this make it the top surfing spot attracting a young and sporting public (but not only...) Be careful, these waves are also dangerous, but it is one of only three supervised beaches on the island. 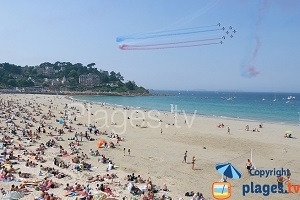 It is one of the most crowded beaches, but it is not the Côte d'Azur for all that. The reason? It is sheltered from the wind, the seabed is flat, the warm waters and the deep beach in some places can preserve a little privacy. Just like its adjacent small coves. Beach probably unchanged since the old days. 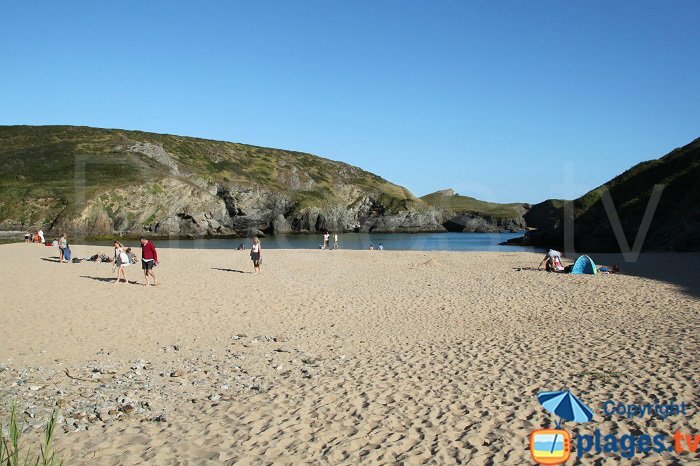 A wonderful setting with two sandy bays. Only contribution of civilisation: a lifeguard station and some picket fencing to preserve the dunes. Family-orientated beach. 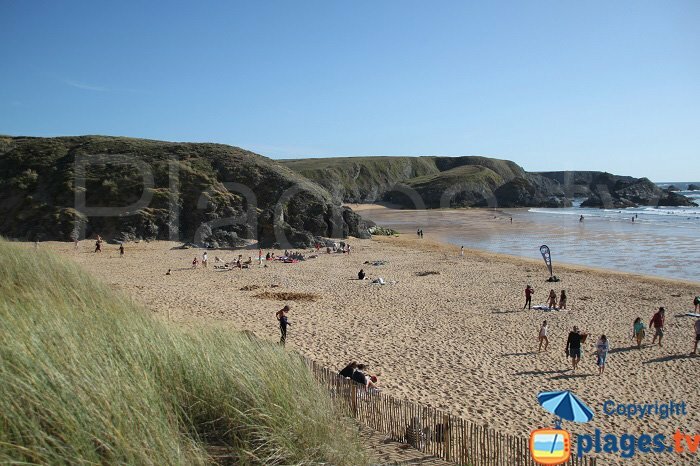 It is the longest beach and the least hilly. This is also the place where the sailing is practiced with the most assiduity. It is bordered on its right by a considerable number of more intimate coves. 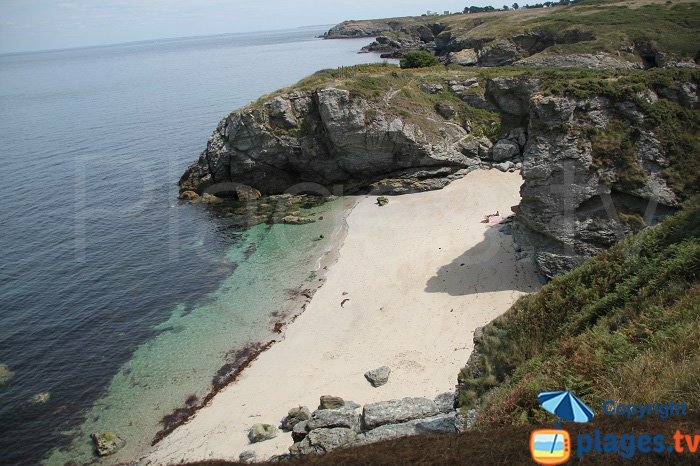 Beach accessible by foot or bike only, Baluden enjoys an exceptional setting made of heaths lined with cliffs. Facing the west, the evening light increases by a few notches its natural beauty. 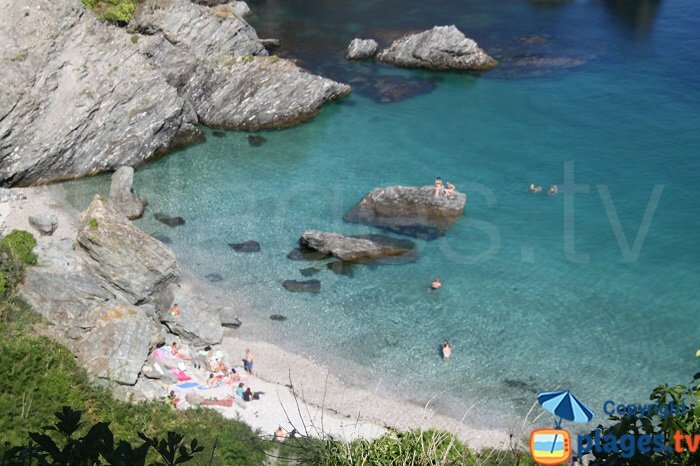 The most famous of the three or four nudist beaches of the island has an enchanting setting. On the untamed coast, it is not easy to reach. 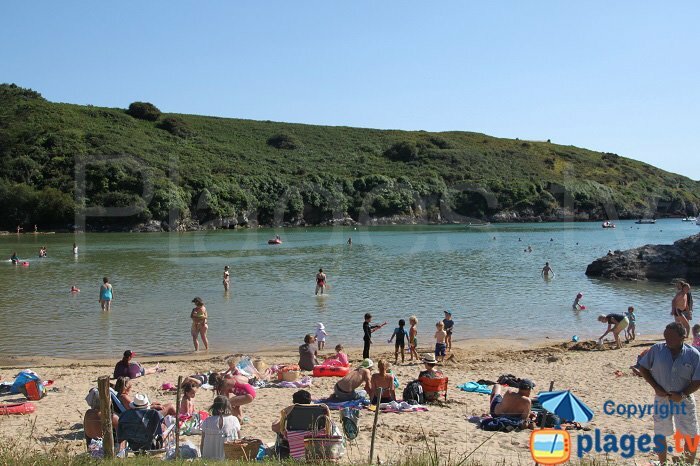 It is not only reserved for naturists and it is good for everyone. 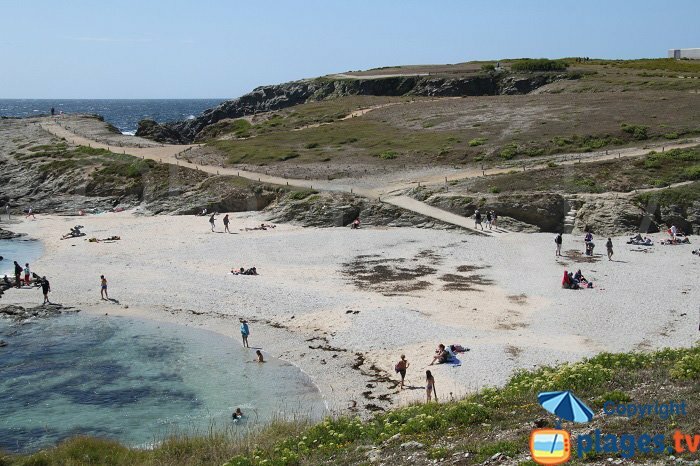 It is actually several beaches located almost at the northwest end of the island in a chaotically superb and wild setting. The "stone piles" bring a lunar note to a place that Sarah Bernhardt and her museum still haunt. 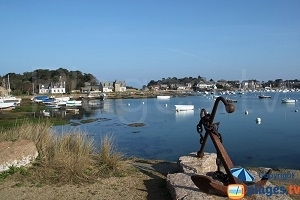 Located near Port-Fouquet, Canons beach almost passes unnoticed. This is what keeps its charm intact. 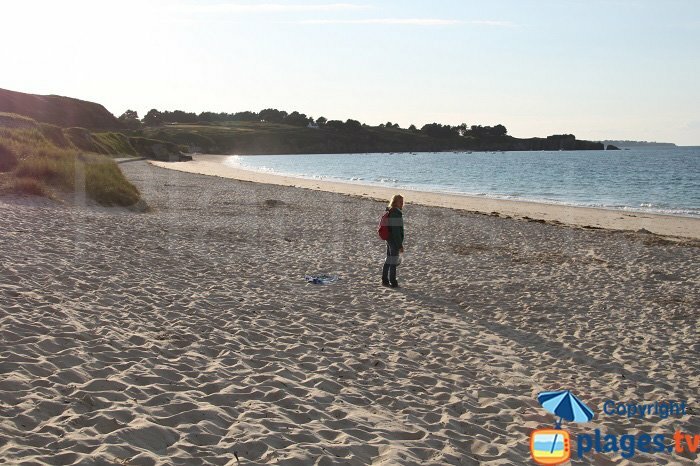 Almost always empty, because of its remoteness, it is a beach that surprises by its relative grandeur, the fineness of its sand, the clearness of its waters and, therefore, the solitude that you can experience there. 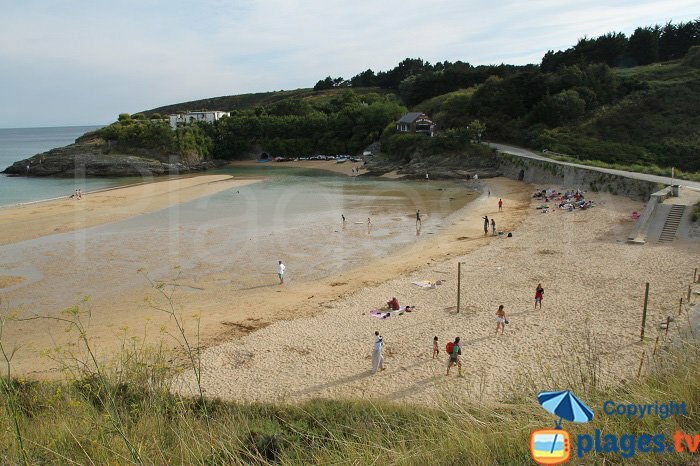 Beach closest to the main town of the island, it is frequented, not without reason. It combines the advantages of an inhabited frame, pavilion and natural at the same time, an activity due to the youth, and the nautical activities. 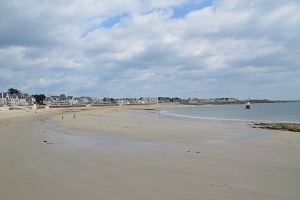 It was part of the small beach trend in the belle époque. In a way, it has more or less remained so. 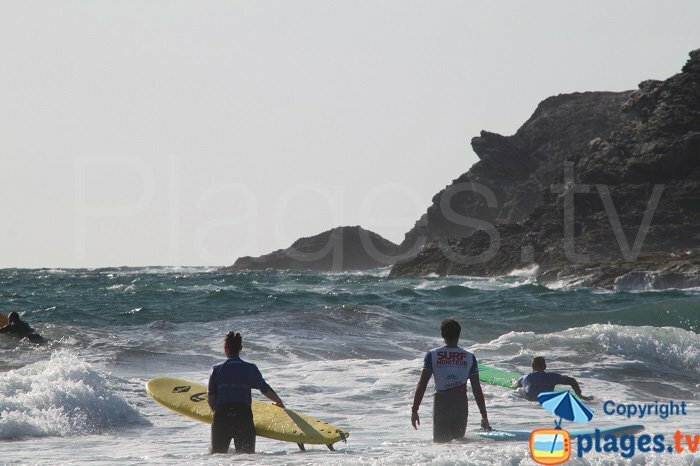 Even though the most interesting beaches are to the south, on the untamed coast, Port An-Dro, to the east offers the advantage of sports, nautical and pleasant beach. The small coves around are all treasures to discover.